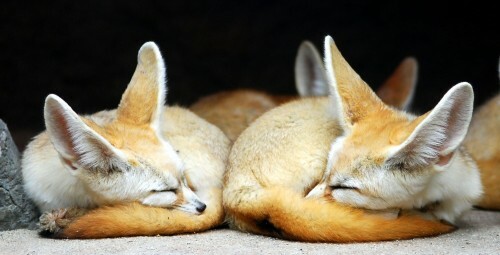 The appear to be fennec foxes. I wonder what their flammability rating is. Well the the cuter something is the more inflammable it is. Damn. They look adorable when they’re sleeping.. but like evil bastards when they are awake.